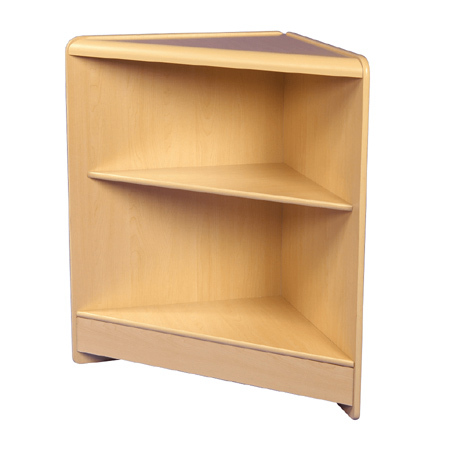 Triangular Corner Unit (Maple Finish). Contructed from durable 15mm MDF. Solid top with one solid display shelf. Combine with Counters and/or Showcases as listed to form an attractive and versatile L or U shaped counter. Please note this product is heavy and requires basic flat-pack assembly skills. Maple finish with colour co-ordinated aluminum trim. overall size : 600mm deep x 600mm wide x 900mm high.